I wrote about Raku Beer in my post about watching the first World Cup game that Japan played in 2014. 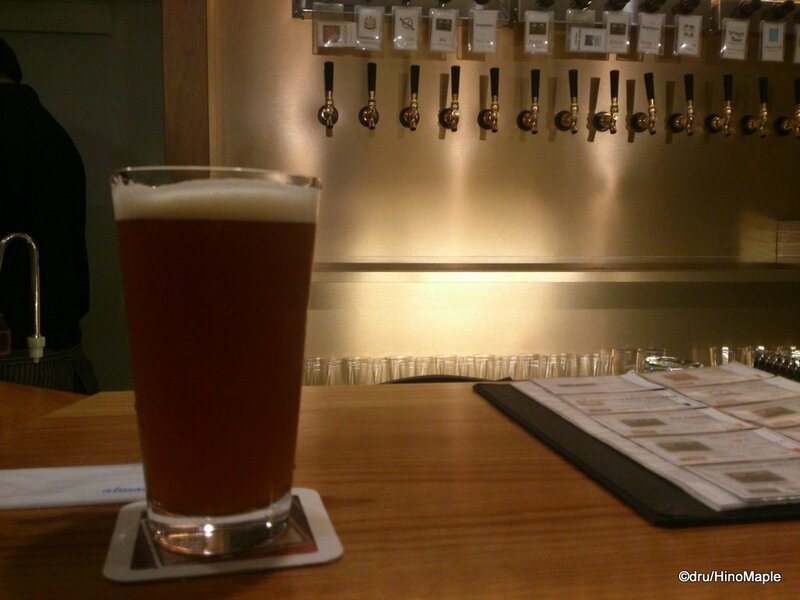 Raku Beer is definitely my kind of joint as they are a craft beer cafe and bar. The place is beautiful and elegant and really puts a Japanese touch on what a craft beer bar should be, compared to what I’m used to seeing in the west coast. 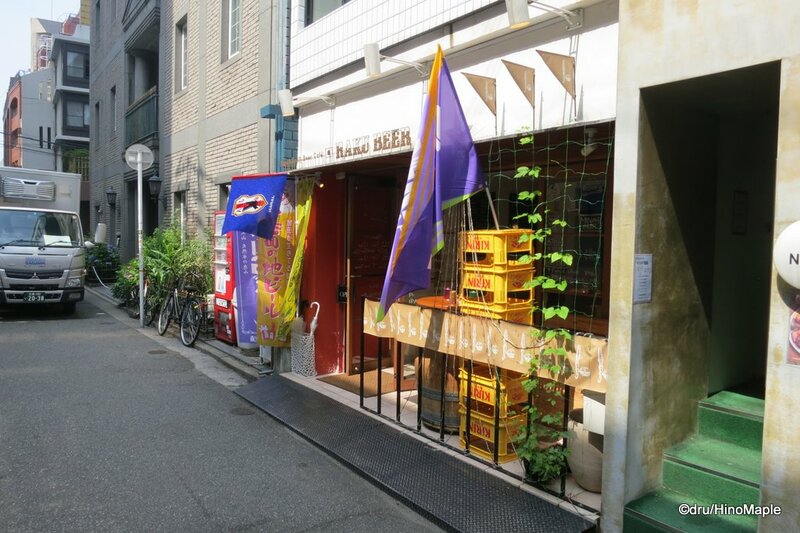 I never planned on visiting Raku Beer in Hiroshima. My night started off with some Hiroshimayaki at Henkutsuya, my usual hangout near Parco. We went on a little walk to let the food settle as well as to look for a sports bar to watch the Japan VS Cote d’Ivoire game. We were walking up and down the streets when we came upon Raku Beer. It was night time and the place had a wonderful glow to it. The lighting inside the bar set the perfect mood to have a nice quiet night with friends. We almost went into Raku Beer right away but a couple of friends didn’t drink beer. 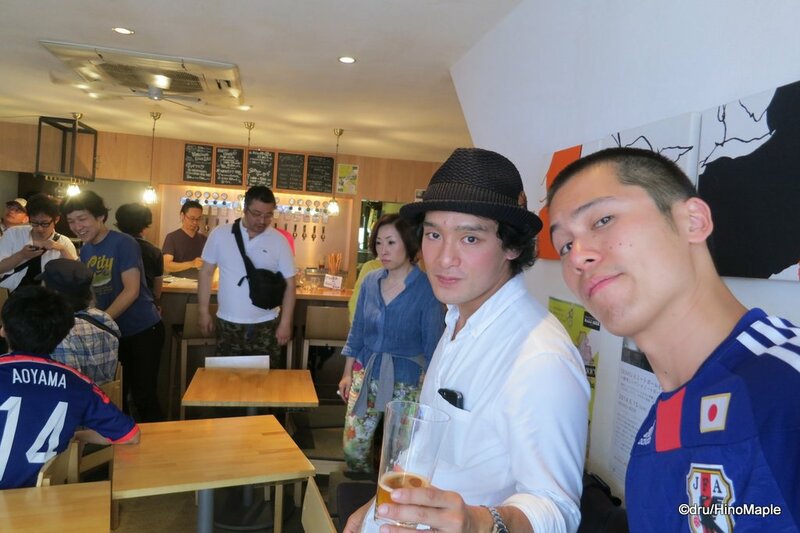 It was unfair to make them drink at Raku Beer when only half of us wanted to go. We ended up going to an izakaya down the street, which was great as well! After we went to the izakaya, 2 of us, R and I, returned to Raku Beer where we had a great last beer to close the shop out. When I entered Raku Beer, they were almost closing, but since we said we just wanted 1 beer, they said it was fine. I started to talk about the different brands that were available on tap. They had a great tap system with 15 taps! 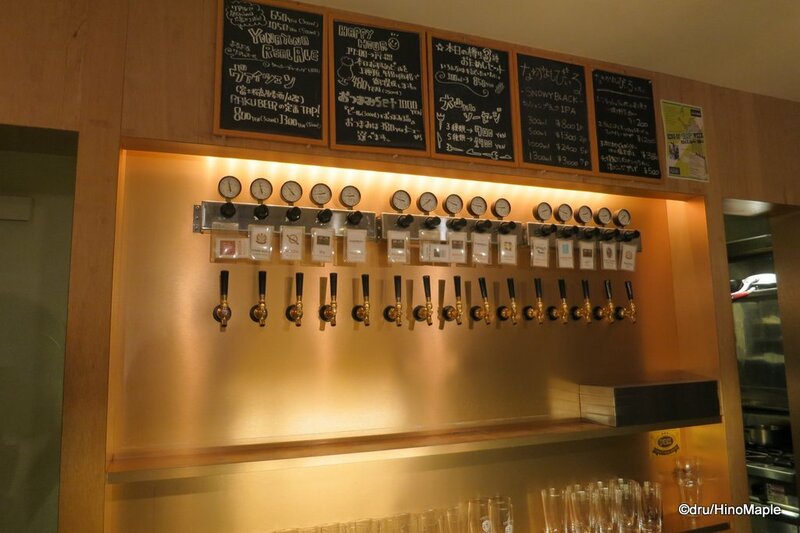 To give a perspective, my local craft beer bar in Kinshicho only has 7 taps and 3 of them are rotating with “guest” beers. Raku Beer rotates all 15 taps and each tap can be manually controlled to adjust the head and mouthfeel of each brew. The selection at Raku Beer is astonishing. 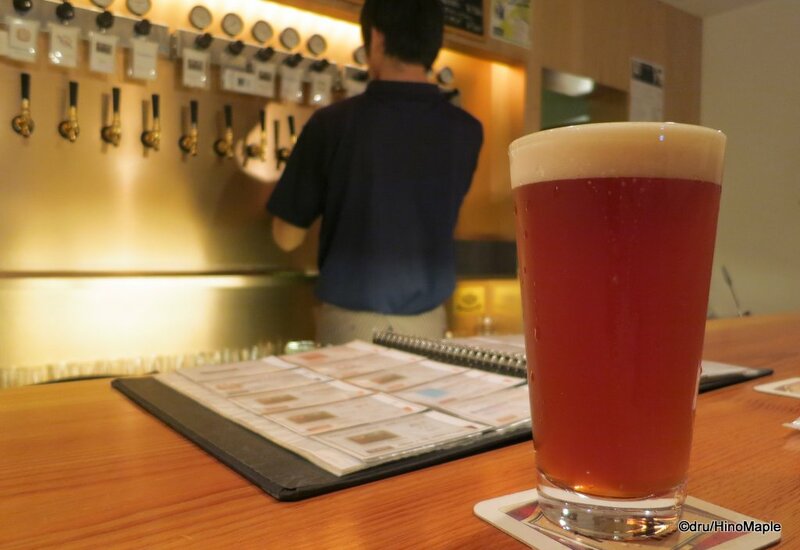 In Tokyo, I do see bars with a large variety of beer but Raku Beer has a better variety. Perhaps I am used to seeing my local beers but Raku Beer had a lot of beers that I just don’t see when I am in Tokyo. They had Kure Beer, Minoh Beer, and other brews from western Japan. They even had Kure Beer’s Shimanowa on tap. Kure Beer’s own restaurant didn’t even have the Shimanowa on tap, so I was really surprised by this bar. While I was at Raku Beer, I had a great time. I was talking a lot with my friend about my “extensive knowledge” of the various craft beer brands and which ones I liked the most and which ones were not so good. The bar tenders were keeping an ear on me and even joined the discussion. It was a fun time for sure but to be honest, it was a bit of a haze due to the copious amounts of sake and beer that I had consumed that day. Even the next morning I was back at Raku Beer and having a drink or two before I had to return to Tokyo. It was a fun time to be there and I will go back to Raku Beer the next time I’m in Hiroshima. That’s a promise. This entry was posted in Chugoku Food and tagged beer, craft beer, Hiroshima, japan, Ji-Biru, Raku, Raku Beer by Dru. Bookmark the permalink.